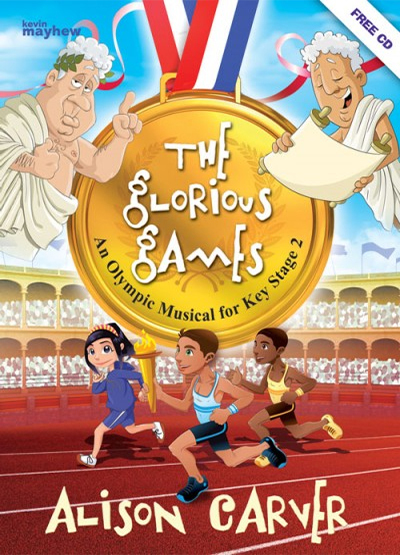 Celebrate the Olympic Games and the successes of Olympic athletes both past and present with this sparkling musical! Join the Spirit of the Games for a fascinating journey through the history of the Olympic Games, from their origins in Ancient Greece, their re-birth in 1896, to the hopes and dreams of today’s young athletes aspiring to compete in the modern Olympics. With a wide range of different options for staging your production, The Glorious Games is sure to win a gold medal. Two options are presented in the book for staging this Olympic musical. It can be performed either as a musical with speaking parts or as a cantata with narration. *An accompanying CD of the songs includes both vocal and backing tracks. If fewer children are available, several parts could be played by one child, for example, Ancient Greek 1 could also play Long Jumper and Athlete 1. The Runner may be played by either a girl or boy. *If fewer children are available, several parts could be played by one child. For example, Ancient Greek 1 could also play Long Jumper and Athlete 1. The Runner and the Spirit may be played by either a girl or boy.